"Deadliest Catch" star Phil Harris died after suffering a stroke, but his fans will see him on next season's shows. 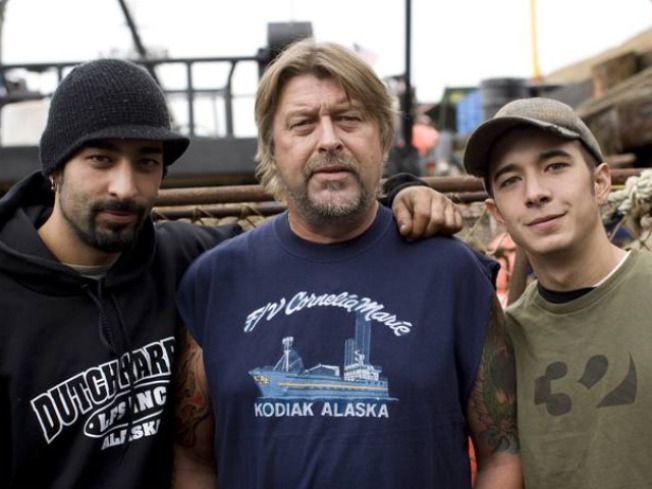 Phil Harris, the crusty "Deadliest Catch" captain who died earlier this month after suffering stroke, came out of a medically-induced coma long enough to bond one more time with his two sons, according to a new report. Harris, the tattooed, chain-smoking skipper of the "Cornelia Marie," became a star on the Discovery Channel's reality show about crabbing in the Bering Strait. But after the 53-year-old was found stricken in his bunk as his crew unloaded its latest haul, he was doomed. Still, Harris shocked his doctors by coming out of the coma and spending several days with sons Jake, 24, and Josh, 26, according to People magazine. "I got five days to actually talk with him," said Josh. "We had nine days total that we were there to enjoy a few moments with him. We had our closest people there and it was awesome." Harris had battled health problems and was known to guzzle coffee and Red Bull while eating a poor diet and smoking. His son said Harris had tried to improve his healthh, but the effort proved too little and too late. "He did cut back on energy drinks, quite a bit from what he'd usually do," says Josh, "but [doctors] have determined that smoking was the cause of this, and that was always his biggest habit. He had changed a lot of his habits but just could never kick the smoking. He started working with that electronic cigarette but, not used to it, he didn't know how to charge it. He just kept smoking." Harris talked to Jake about his role in the family business. "I'm going to be looking at that [captain's] chair in a different way," Jake says. "We definitely talked about it, but I just didn't expect this to happen so soon. That's definitely something where I would take over and take the responsibility." But Harris told his older son to get out of fishing. "I do love fishing, don't get me wrong, but it was one of those deals where he wanted to see me do something better," said Jsh Harris. "He gave me the encouragement. My life goal was to show him I could be a man, you know, and I could fish, and I did the best job that I could, and he recognized that as being a good job and gave me kudos."